With the constant heat, it is tempting to manually install solar panels in the Philippines but the price people in doing so without safety precautions could be fatal. To get this renewable energy source on the roof of your home safely, it’s best to have it professionally done. 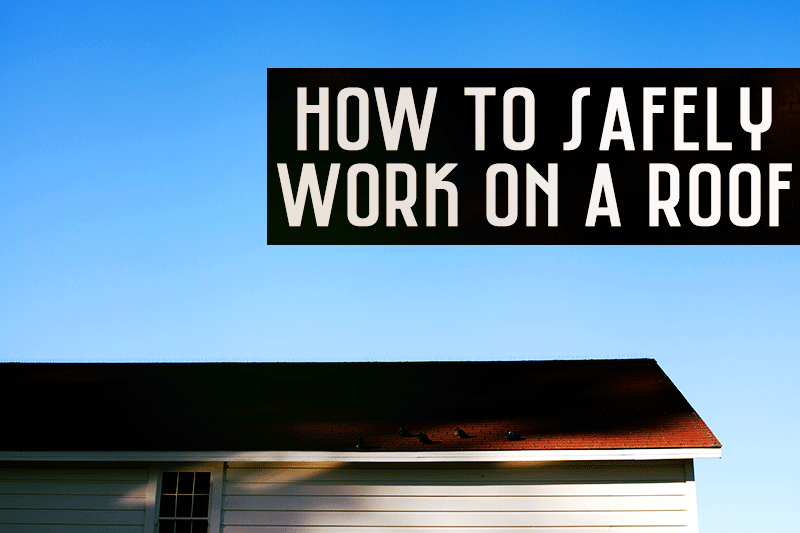 As for other work you need to do on the roof, here are a few tips to stay safe. Guardrail systems are used to make removable guardrails on your roof. This can be attached to any type of roof at any angle. It also has risers which can accept any standard 2×4 piece of wood. When connected to each other, they create a stable rail system for your roof. The rail system acts as the vertical bars that support the wood which act as the horizontal bars. These also have holders at the bottom to hold 2×4’s that act as toe boards so that tools don’t fall off. Install this on all the edges of your roof or, at least, on the steep parts of it. Aside from the toe boards on the rail systems, toe board brackets are devices that can be used while working on a roof to provide stable footing for on any part of the roof. This bracket is weaved into the roofing to remain stable while being used. 3 are needed in order to hold up a 12 foot 2×6. This especially useful because it can also act as a slide guard so you can bring along your tools with you to any part of the roof without worrying that they will slide off and injure someone on a lower level. These brackets are easily removed without damage to the roof. And use it well. If you are on the ladder and it gives way, then the fall could be fatal for you and/or whoever you might land on. To ensure that this doesn’t happen, a ladder is something you shouldn’t skimp money on. You must also know how to use it properly. Set it at a correct angle; too steep could make it fall over; too angled could make it slide out from underneath. Screw in 2×4’s at the feet of the ladder to prevent it from sliding off. Secure the ladder either by tying it to the roof or using a ladder stabilizer. Use bright warning lines to warn yourself of dangerous areas such steep parts of the roof, unprotected edges, skylight holes, etc. Have safety signs and plans regarding where certain risks are in the roof and where to be extra careful. Wear a hard hat to protect yourself from falling items. Being safe on the roof is all about the having the right tools, using them properly, and being responsible not only for your own safety but for others. These are all good investments to ensure that you can improve your house without risking your life.